In the 1970s a tolerant town, a visionary doctor and a most unusual Catholic hospital had converged to create a truly special place in transgender history; a place that unbeknownst to any of the parties had a long history of such acceptance. Frenchy's body lies in the Catholic cemetery, though his gravestone is lost to history. The cemetery's ledger reads, "Caterina Vosbaugh - France, 77 years - Woman-Man!!" 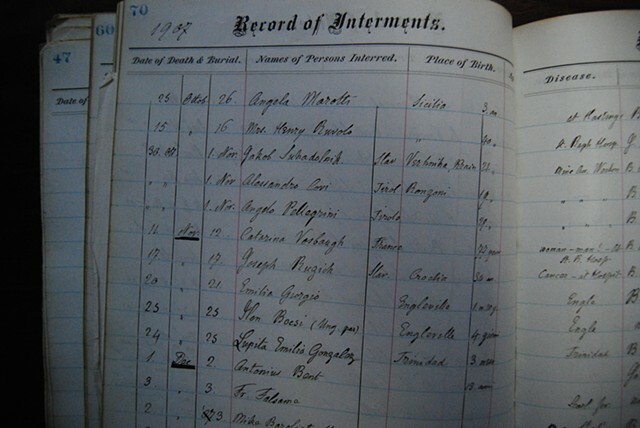 image: Image courtesy of the Trinidad Catholic Cemetery records.